It’s not exactly like the NBA 2K games you may know from console or PC, but for mobile gamers, it’s certainly a great addition to the series. My NBA 2K17 continues 2K Games’ tradition of releasing “companion apps” for the console/PC NBA 2K titles, and this new game for Android and iOS is packed with new features, as well as a lot of the old ones you may have loved from previous versions. For one, you can scan your face into NBA 2K17 using your phone or tablet, earn more Virtual Currency, and do a lot more. But you’ll probably be playing the NBA 2K-themed card game, MyTEAM Mobile, the most frequently. This is a basketball TCG within the companion app itself, one that allows you to collect player cards of current players and retired legends, and one with a variety of modes, including quick games, season tournaments, special events, and the Blacktop Challenge. You’re probably wondering about the best strategies to use if you want to build the strongest possible team, and to come up with a lineup that can succeed regardless of the game mode you choose. Well, fear not, as we’ve compiled our first My NBA 2K17 strategy guide, and we shall be discussing a list of general tips that could add more wins to the win column, while you have the most powerful lineup possible. This is one of the most basic general rules in the game – you want to have everybody assigned to their actual position in real life, as that would give the players a statistical bonus. That means you shouldn’t play Stephen Curry at small forward, shouldn’t play Karl-Anthony Towns at point guard, and shouldn’t play Jimmy Butler at power forward, for instance. Still, there are some exceptions to this rule, where it may actually be better for you to play someone out of position. That exception would be those times when you have a much rarer card than the rest of your lineup. Consider this basic example: you’ve got two Epic cards at power forward, and a Rare card at center. In such a situation, you want one Epic at PF and one Epic at C (even if it’s not his preferred position), with your Rare center hitting the bench. It may not sound like the fairest thing to do, especially if you’re playing for the challenge of it all, but if you want to add to your wins, regardless if it’s a Quick Game or a Blacktop Challenge (see below), you should be choosing opponents who are in a lower tier. That means you should go for the Super Rare tier if you’re currently in the Ultra Rare tier. But if you can’t find someone who’s in a lower tier at any given time, look for someone who has significantly less experience. Your chances of winning should also be good against those opponents, as your trained cards will likely trump theirs. This applies in many games that include card battles, and it also does in My NBA 2K17. When in a battle with another player, start out by playing the card of your weakest player. Don’t worry too much about losing early, as the game’s AI will often start out as well with the AI team’s weakest player. When up against another human player, things may be a bit different, but it would be a good idea to play those cards like you normally would, but use a support card to improve their stats. There will always be a chance that 2K Sports will crack down on this practice and penalize players who do this; it’s happened in other games before, and it just might happen here at some point in the future. But while it’s still possible to rage-quit, we suggest doing this – that’s quitting a game where you’re almost sure to lose. By rage quitting, your loss would not go against your record. Still, in the interest of fair play, we would definitely discourage this practice if you’re at a point where you can count your losses with the fingers in one or two hands, but have a ton of wins credited to your name. The Blacktop Challenge is a brand-new mode/feature that requires such detailed explanation that we’ve got a separate strategy guide for it. But to give you a general overview of what these challenges are about, these are great ways for you to add more cards to your deck. Sure, you’re going to have to be a veteran of My NBA 2K17 to ensure yourself of some worthwhile cards to add to your deck, but all that experience in the game will be worth the effort. 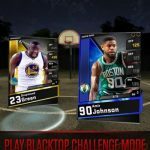 You will get a whole lot of free picks if you’re able to win a Blacktop Challenge and emerge as one of the world’s best, but even if you aren’t, you can nonetheless be assured of a solid, decent number of picks. We will be detailing these sub-tips in greater detail in our Blacktop Challenge strategy guide for My NBA 2K17. But for those who are okay with those tips discussed in brief, here are some of them. First would be to have a rematch with the opponent you beat in your last game in the same round. Next would be to have no more than 25 cards in your deck, and to focus on training 25 cards to give you a set deck for the next Blacktop Challenge. That would ensure you of the ability to play all the games in the challenge. 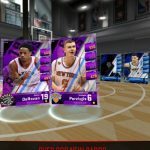 You can also try this strategy in the Blacktop Challenge if you’re looking to make it to the top three and get the rewards that come with such a high position. Focus on winning in the first round, refresh your cards by losing four games in the second round, focus again on winning in the third, lose big-time in the fourth, and go for the win in the fifth. This is a proven way to ensure yourself of a top three spot and the associated rewards, and it can be done, even without the need to refill your energy. You can do a variety of things to make your player cards better. But the first thing you should be doing is leveling up your players, maxing the level out as you keep on training them, as that’s going to lead to the most significant value increase per each card in your deck. Once you’ve maxed out your player’s levels, you can charge their extra offense, then their extra defense, or vice versa. But since charges are limited, it’s best to do that only when you’ve got an important match to be played. 8. The Auction House – To Bid Or Not To Bid? The Auction House is hyped up as a place where you can get some new and extremely rare players. But it’s often best to stay away from the Auction House, except if you’re making bids for cards of Legendary and Epic rarity. You can also head there if you’ve got a good number of rarer cards at the same position and want to sell them for some easy money. If you choose that route, you should keep the prices as reasonable as possible, as few players would be desperate enough to bid high on a mediocre player or worse. Want another reason why you shouldn’t spend a lot of time in the Auction House? As your cards can be used to improve existing players and subsequently your team, it’s really best not to rely too much on the Auction House for improving your team. The game will usually allow you to have a maximum of 200 cards in your deck, and when it comes to training the cards in your deck, it’s always best to wait until they reach the limit before training them. Why is that the case? For starters, you’ll have a better chance of getting rarer cards before you max out your players’ levels, and that also means you won’t have to spend so much time training a card that doesn’t really have that much upside to it. Another reason would be what happens to your tier’s progress bar – it will move faster if you upgrade in waves, while you’ll have an easier time beating opponents in your current tier. 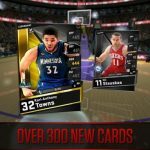 My NBA 2K17 has a Season Mode, and if you want to do well in those seasons, the most obvious thing you need to make sure of is having a solid collection of cards. You should also have a meter that’s full or close to full before starting out, and you’ll also need some energy refills with you. 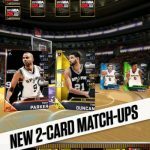 Your energy cards should have already been maxed out once you start the season, and once you use them, you can then alternate your season play with Quick Games and the Blacktop Challenge, so you can add new players as you go along and rotate your lineup freely. And this completes our detailed guide for My NBA 2K17. Stay tuned, as we will update this guide with more tips and tricks in the near future! Also, if you know more hints for the game, feel free to let us know in the comment section!